Looking for a career in nursing ? Share our passion for delivering quality care to people who are home bound and sick, please call 718-978-7221. 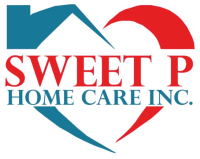 A career with Sweet P Home Care will allow you to develop and utilize your skills as a Registered Nurse, Licensed Practical Nurse, Home Health Aide or Personal Care Aide.